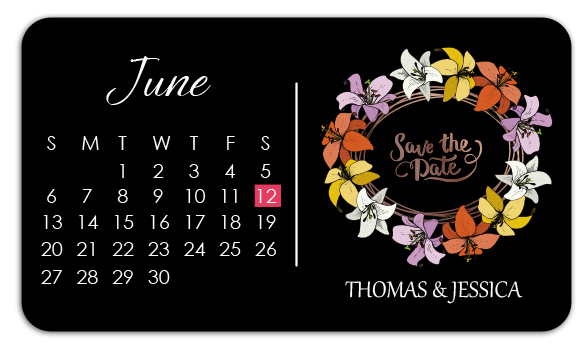 Personalized 2 x 3.5 inch mini save the date square corner magnets make a very affordable announcing medium for most couples who are looking forward to a small budget wedding. This magnet will be retained around refrigerator doors due to its small and attractive size. People would retain it as a memoir, reminder, and refrigerator art- - above all as a testimony of a beautiful relationship that they share with you.